A review in 10 words (or thereabouts): A book with just about everything (especially things that don't really go together). 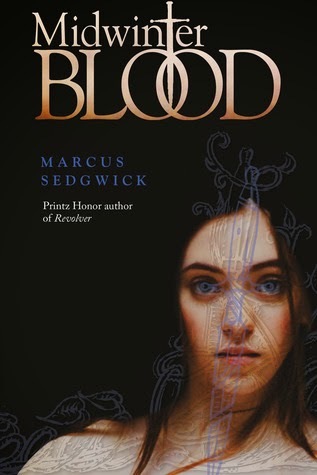 Vampires, vikings, and a "love" affair that spans centuries. Moral of the story...stay away from Blest Island. Stay away from crazy tea offering elderly men. Stay away from dragon flowers. Stay away from vikings and their dooming sacrifices. Just stay away. The setup of the story is awkward. you get glimpses of lives that you never get to understand. There is a supposedly epic love story going on, but you never feel this heartwrenching love. You never really get a picture of why these two people who live life after life for the hope of being together again. And then there are the vampires. Reincarnation is one thing...I can maybe suspend disbelief and by the idea that some wicked viking sacrifice caused this traumatic, dramatic story...but vampires? Really? I can't help to think that Sedgwick was trying to do something epic here. He just fell short. The short chapters keep the story moving...and there is that rather cool mood thing going on, but overall, not my favorite story ever. I do like archaeologists though. There really aren't enough archaeologists in teen literature.